In 2010, FX released the first season of their animated spy comedy Archer, which quickly became a hit amongst animation and espionage lovers. By 2016, the show would release a total of 7 season, each receiving consistent ratings, reviews and praise. The show has been such a success that FX renewed the series for another three seasons, with season 8 scheduled to premiere in 2017. Despite all this, one accolade has eluded the Archer crew. Since 2014, the Emmy for outstanding animated series has escaped their grasp. Facing stiff competition from TV legends The Simpsons and South Park, Archer was able to snag the Emmy, solidifying the series as a modern comedic powerhouse. Last year, Archer lost the award to Bobs Burgers, coincidentally, both shows titular characters are voiced by H. Jon Benjamin. This year, Archer was able to come out on top, even beating the final season of Phineas and Ferb. According to Deadline, executive producer Matt Thompson had this to say about the win, “It feels great. … I told myself, ‘Awwww, we lost, just don’t worry about it’ … but it feels completely different to win.” Archer also won the Emmy for a second year in a row for outstanding creative achievement in interactive media – multiplatform storytelling for the “Archer Scavenger Hunt”, an online experience that involved finding clues hidden within episodes. A big reason for the show continual success is due to the shows willingness to veer in different and new directions. Season 5, which adopted the official tile of Archer: Vice, moved away from the original spy premise and became a parody of shows like Miami Vice and followed the gang as they attempted to sell an absurdly large amount of cocaine as a way to make ends meet. Season 7 saw the gang move away from New York and establish roots in Los Angeles as they attempted to start private detective agency. 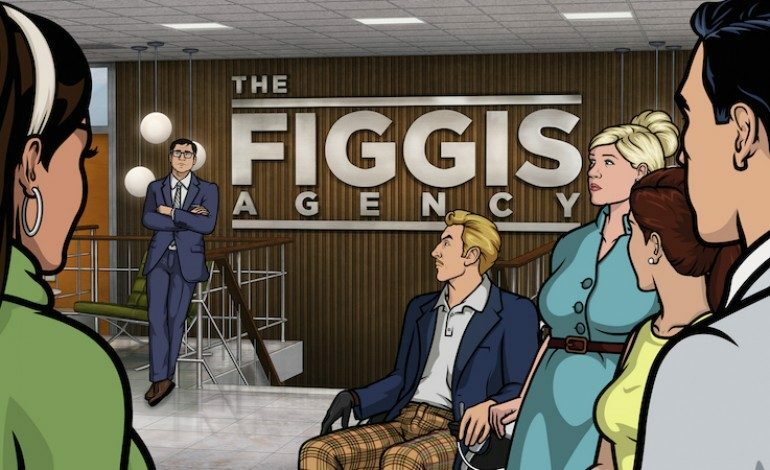 The episode “The Figgis Agency” from this season is the one that earned them the Emmy. The Archer Team also unveiled the theme and era for the upcoming season 8. “We are going back to 1947.” According to iDigitalTimes, following the events of season 7, Archer finds himself in a comma and lives in a dream world that sees him and his crew re-imagined in 40’s style.